It is the time for the annual visit by the Marines to put on their display at the camp. The big mouthed Colonel always makes jibes at how unfit Ted is. This ends up making Ted announce that the Yellowcoats are fitter than the marines, and unfortunately, ends up arranging a competition, to see who is the fitter. The competition takes place on the marines assault course, and the Yellowcoats don't stand a chance, until Ted decides to cheat with a little help from the Twins and Peggy. Episode 2 : "Marry Go Round"
Spike is feeling very low, due to the fact that he has had complaints from campers that he is no longer funny. He feels that he needs to talk to someone who will listen, and decides to seek advice from Gladys at 2am in the morning! She tells him that he has April on his mind, and Spike decides to marry her to regain his sense of humour. Unfortunately, he is seen by Yvonne who gets the wrong idea, and tells April and Clive what they are supposedly up to. Clive uses this as an excuse not to marry Gladys, and April ditches Spike, who finds out that he can still make people laugh, even without getting married! Episode 3 : "The Perils Of Peggy"
After a visit to Dempster Hall, and seeing some of the girls that his family would like him to marry, he realises that Gladys is a "real" woman and would like to marry her after all. He has to work out how to win her back first. Ted comes up with an idea. He tries to get Clive to rescue Peggy from various situations, including drowning in the pool and from quicksand. He reckons if Gladys sees Clive being a hero, she will take him back. They all fail...until Clive rescues Gladys herself! Episode 4 : "Let Them Eat Cake"
Alec Foster pays another visit to the camp, and Ted chooses the wrong time to ask for a pay rise. Alec sacks him! In his place Alec installs comic Jimmy Jasper as the new camp host. He fails miserably with the campers, making Alec crawl back to Ted to reinstate him. It is soon to be the day of Gladys and Clive's wedding, but Clive chooses not to tell his family for fear of them ruining the wedding, as they don't think Gladys is good enough for him. Yvonne sticks her nose in and phones Clive's family informing them of the upcoming nuptuals. Fortunately, the maid from Dempster Hall informs Clive of the familys intention to come and ruin the wedding. On the day, Ted moves all the roadsigns the wrong way round to confuse Clive's family and hopefully hold them up, which he does. They do manage to ruin a wedding, but not Gladys and Clive's. Episode 6 : "The Wind Of Change"
Gladys and Clive announce that they will be going to Australia at the end of the season. 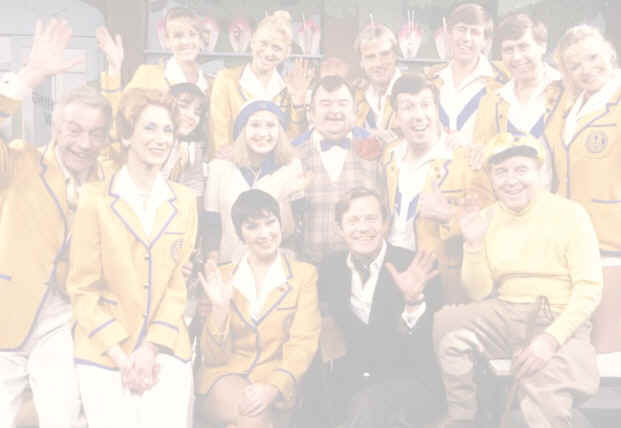 Meanwhile, due to a shortage of Yellowcoats, Clive decides to give Peggy her dream and make her one. She is over the moon about it, so much in fact, she ends up in hospital from nervous exhaustion! Gladys also needs the names of people who will be returning to their jobs the following year, but Alec Foster announces that the staff will not be needed again, due to the current camp closing and total image change for Maplin's. Ted decides not to tell the campers that it is their final night at Maplin's, and hopes to go out on a high.